We are offering natural milled leather. Due to natural milling, the grain surface has its own natural smooth surface with waxy, oily and buttery touch according to the customer. These are available at reasonable prices. Goat Suede leather in Black Color 40, 000 dcm approx available. Kindly ping me if you have the requirement. 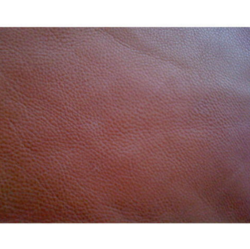 As per the needs and requirements of our clients, we are involved in providing Dry Milled Leather Fabric. Thanks to the “leather-supermarket formula created in Italy by Lamipel, the companies of our Group are constantly and promptly able to offer a wide selection of wet-blue grain, both full substance and splitted from all different origins. we are doing all types of finished Leather. We are engaged in offering optimum quality range of Finished Leather, used for various applications in assortment of industries. This range of processed leather is available in various shades and patterns. Moreover, we process this leather by using latest technology and high grade raw material. Furthermore, our entire range can be availed at market leading prices.